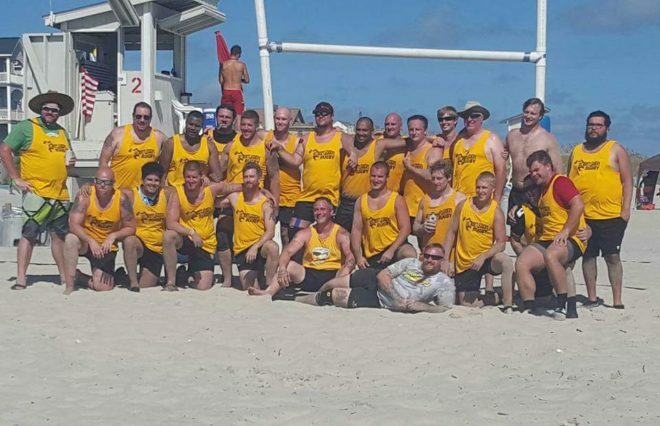 ATLANTIC BEACH, NC – This past Saturday, the Clayton Bootleggers made their annual trip east to Atlantic Beach for the Blackbeard 7s Beach Rugby Championship. The team battled the heat, scorching sand, and their opponents in a fun filled day of beach rugby. For their efforts, the men returned home with the championship trophy for the second year in a row. The Bootleggers fielded two teams at the tournament with the Clayton A team finishing undefeated with a 4-0 record for the tournament. The Bootleggers B side, made up of newer players and Old Boys finished a respectable 1-1-1 at the tournament. A big improvement from when they finished in last place at the tournament in 2015. The two sides finished pool play as the #1 and #2 seeds for the knockout round, but the Bs fell to Cherry Point Old Boys in the semifinals while the A team defeated New Bern. In the championship, the Bootleggers faced off against Camp Lejeune for the second year in a row. Led by team Captain Simon Potter and the hard running of Gareth Davies, Travis Morrison, and Stuart Mackenzie the Bootleggers took an early lead on their way to a 22-10 win in the championship. The win at Blackbeard caps a busy Summer for the Bootleggers that saw the club send teams to five different tournaments and coming home with hardware from two of those five. The Bootleggers finished the 7s season with a 15-8-1 record, the best 7s season to date for the club. With 7s season officially over, the Bootleggers set their sights on the quickly approaching Fall season. The men get a two weeks of practice before opening up their 2016/2017 season with a scrimmage at ECU. 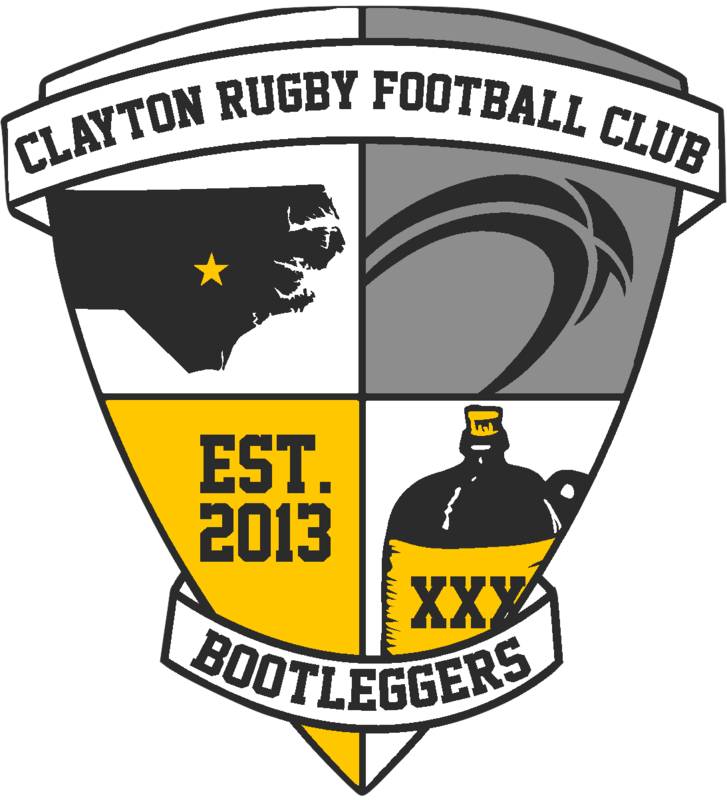 Founded in 2013, the Clayton Rugby Football Club is a men’s rugby program located in Johnston County, NC. Since starting with just seven players, the club has grown to almost 50 players. The club has a family friendly culture with a focus on community. The club currently fields three teams in XVs with competitive, developmental/social, and Old Boys as well as a 7s team during the Summer. Players looking to learn more about the club or join are encouraged to contact us at claytonrfc@gmail.com. No prior experience is necessary and the club welcomes new players at any time during the season.